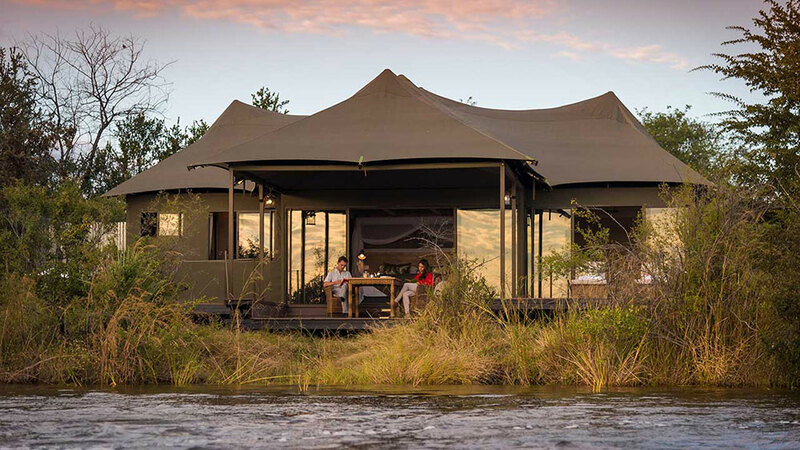 This safari combines two of the hugely popular amazing wildlife viewing areas in the world in Botswana, the Okavango Delta and Chobe, with also visiting one of the 7 Wonders of the World the Victoria Falls, which has the largest curtain of water in the world. We also give you the opportunity to view an African sunrise from a Hot Air Balloon, which is a once in a lifetime experience. Upon arrival in Victoria Falls at the Victoria Falls International Airport, a driver will meet you and transfer you to Old Drift Lodge. 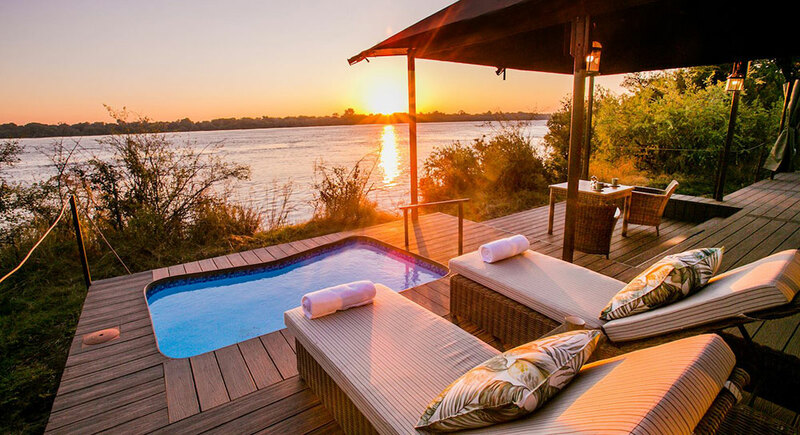 The lodge is located on the Zimbabwean side of Victoria falls, where the steady flowing Zambezi river creates a calm and relaxed backdrop to the start of your safari. 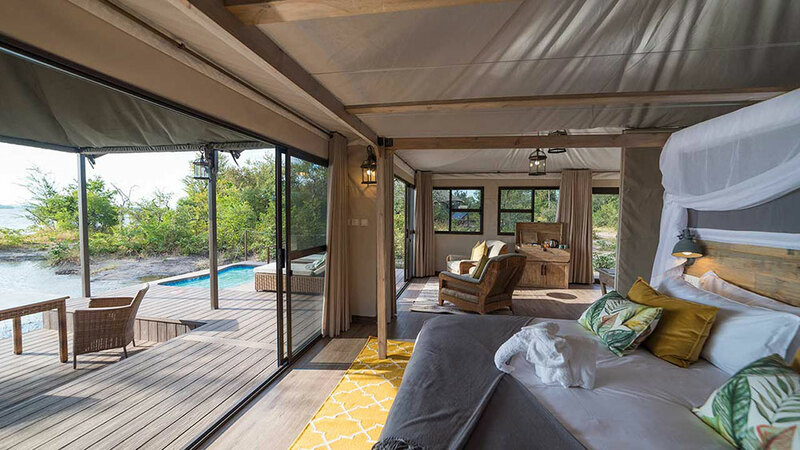 You stay will include morning or afternoon game drives in the Zambezi National Park, morning or afternoon river safaris, guided walking safaris, lunch at the Lookout Café and Guided Tour of the Falls on the Zimbabwe side. A complete Victoria Falls experience. After your morning activity and breakfast, you will be collected for a scenic helicopter flight over Victoria Falls. 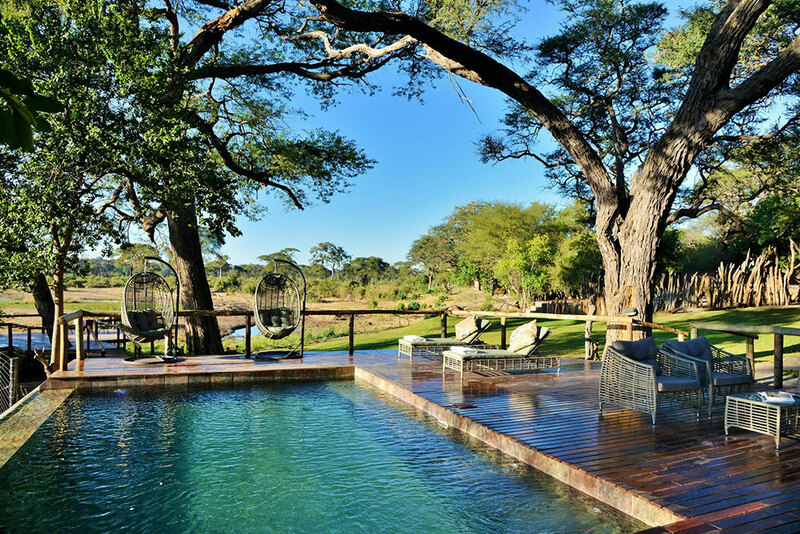 You will return to the lodge to check out and then a driver will collect you and drive you across the border to Botswana (including a short boat trip at the Kazangula border) to the Chobe area to Elephant Valley Lodge for your next 2 nights. The area is so abundant in wildlife that traversing the gravel road to the lodge is like a mini safari in itself. 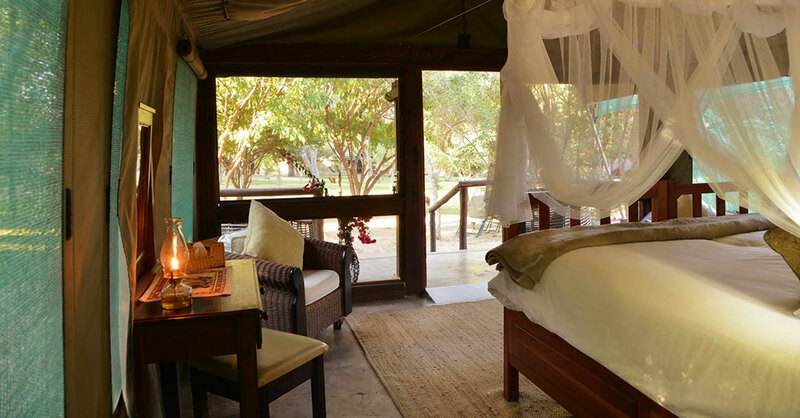 Sturdy acacia trees will open up in front of you, forming lush canopies that hide twenty luxury safari tents. 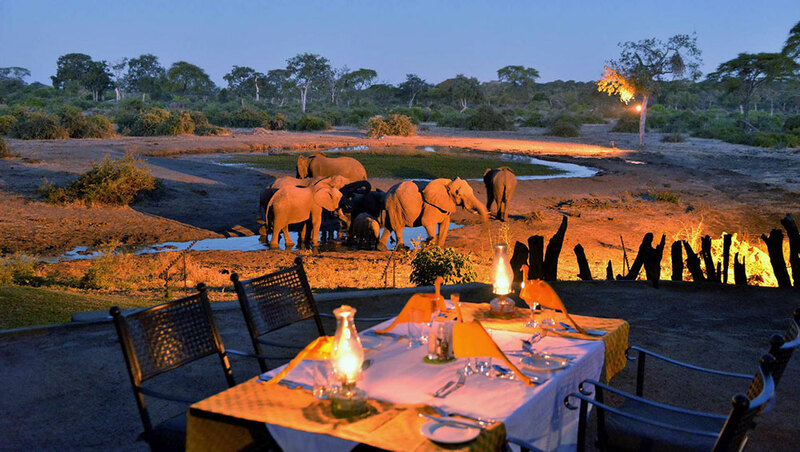 After a morning activity and breakfast, a driver will collect you and you will transfer by road to Kasane International Airport and then enjoy a transfer flight by light aircraft to Kadizora Airstrip followed by a game drive transfer to Kadizora Camp in the Okavango Delta. Included in your activities per day is a morning mokoro trip (seasonal), island walk and afternoon game drive in the Delta. From April to September you will also have a Hot Air Balloon Safari activity over the Okavango Delta with champagne, tea, coffee and snacks. After a morning activity and breakfast, you will be transferred to the Kadizora Airstrip from the lodge and then take a flight by light aircraft from Kadizora Airstrip to Maun International Airport for your flight out of Maun. Want to customize this tour? Enquire today to let us help build your holiday.